I went in 2016 and I'm sure it hasn't changed since then. First off, I was approached by them quite late in the year. It was about May/June when they asked me. According to other artist friends it seems as though they were looking for people desperately. After a few emails with Gabe, one of the event runners, I aggreed to their table. It was kinda steep for $300, but from what he had made it sound like, they were a heavily attended show. I had been in the past, but that was like 2012 and from what I remembered , it was really small. I didn't know if they had changed after almost 5 years. After paying, I got their artist alley package. In that package, they demanded us to get our own insurance through their pre-approved insurance agency. Even though my display isn't huge or anything, they still demanded that I pay for insurance and that they would be checking at the venue for insurance. I paid, no one ever checked and, after talking to my artist alley neighbors, a good 70% of them didn't pay or even read about the insurance. So I feel like that's just a scam. After the con, I asked the event runners about it. I got in touch with a guy named John and inquired. He said that he's for sure 100% of the artists and exhibitors paid their insurance and that it's always required. I mentioned to him that I've never had to pay insurance before at any other show I have done (Anime Impulse, ALA, AX, Wonder Con, etc) and he had no response to that. I also asked to get a refund on that and he said that it wasn't possible. The event staff was pretty decent, I guess. I didn't really see them for most of the time, just when loading and unloading. Luckily for the loading day it was pretty easy going. There wasn't space next to the dock, so the guy gave my helper and I 15 min to unload by the entrance under the walkway from the structure to the convention center. Then I was able to just park it in the structure free of charge. As per the unloading, it was a zoo. There were long lines and the last day of the convention coincided with some Indian convention, so we had to fight a mob of attendees trying to get into the center, but on the wrong side. Then I couldn't even bring my car up to the convention center to pack up. I parked it a little bit closer to the loading dock and just made several trips walking past long lines of people and dodging fork lifts. After that it was a short ride home and I was happy to be done with the horrible event. As per sales, the guy who said he did better there one day than AX, just must not have the right stuff. Anime Expo has always been good to me. I am looking forward to making my 4th year in a row there. The cost is about $200 more, plus a farther drive and more expensive parking, but people spend more and more often there. At LBCC I only made sales the first day of 2016 because the attendance was so high to see Nathan Fillion. The next day it was practically a ghost town. I saw a lot of abandoned tables and people who packed up early. About half of my aa row was gone before the second day was over. Barely any sales, With the cost of parking, insurance, food and the high table cost, I might have made $100? I can easily break $1000 at AX. tl;dr unless they start charging $100 per table for the weekend, even for a local (unless you're selling comics), don't go. This was a nice con to go to if you're local. The table space was pretty nice as they give you an 8 ft table with some space in the back and a mini trash can. The attendance to artists ratio is pretty good, and I was able to make about the same amount of profit on Saturday as I would at AX despite being in one of the furthest back rows. However, keep in mind that a good amount of the attendees are families, so keep that in mind when attending. 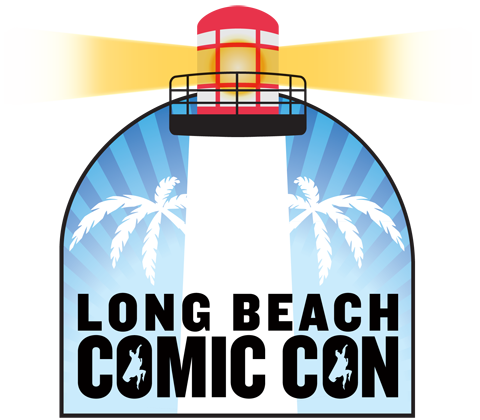 The venue was at the Long Beach Convention Center, and I've heard people complain about the service in that place and how it affected their credit card sales, but I personally did not have a problem with connection at all. However, I will complain about loading in. The convention had separate loading times for different areas of the exhibit hall, which SEEMED like a nice, organized idea. Unfortunately, I couldn't make my time due to work so I went during a time when the exhibitors would be loading in as opposed to the artists. That part was hell. It took more than half an hour for a vehicle to finally reach the inside of the loading dock. Then, when you unloaded, they wanted you to leave right away, park your car in their expensive $15 parking lot, and then come back to set up. I thought that was ridiculous, and being a native to Long Beach, I parked my car a block away on the street for $1.50, carried all my stuff through the back instead, and set up that way. It kind of helps to know your ins and outs of the city. Other than that, I didn't really see staff for the rest of the con. So overall, I'd say this was a nice con to go to if you're fairly local. Profits are nice for a two day con, attendance is pretty high, but just be prepared to have a headache for loading in.